IRA (Individual Retirement Account) Accumulation: Open an IRA with a $5 deposit. Make regular payroll deductions into your account. As of 2014 you can save up to $5,500 per individual per year. If you are 50 or older, you can save up to $6,500 per individual per year (this is known as 'catch-up' contributions). Annual Percentage Yield is higher than regular savings. Can be rolled into an IRA Share Certificate when $500 is accumulated. 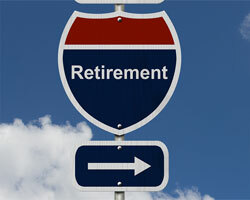 Traditional IRAs are specially intended for retirement after age 70 ½. At that age, the tax laws require a minimum distribution to begin. The greatest advantages are that certain contributions to this type of IRA are tax deductible in the year the contributions are made, and taxes due on the earned interest are deferred until the funds are withdrawn. Roth IRA contributions are not tax deductible. On the other hand, while traditional IRA dividends are tax deferred, Roth IRA withdrawals are tax free IF the account holder has had a Roth IRA for more than five years; and is age 59 ½ years or older; or the holder has become permanently disabled; or is purchasing a first home; or dies. Earnings may be penalty-free and withdrawn tax-free under a variety of conditions. Contributions can be made after age 70 ½, and no withdrawals are required during the account holder's life.